Copper Island Diving Ltd. offers all levels of underwater commercial diving services, ranging from underwater video and photos to docks and buoys. 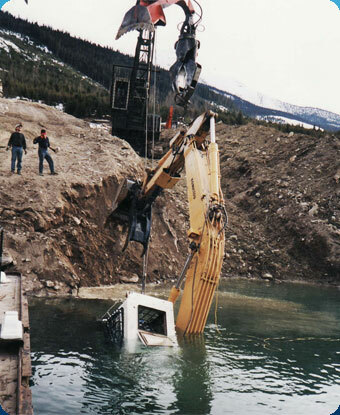 With many years of experience, Copper Island Diving Ltd. has the know how to complete any job safely and effectively, and is Occupational WCB Certified. Below is a list of the most common services we offer, if you are interested in a commercial dive service not listed here, feel free to call the shop at (250) 832-5737 or e-mail us so we can attempt to help or at least offer advice on a good fit for your requirements.